There are a number of ways to parent. Single parenting, shared parenting, parenting together while living apart, or choosing a family for your child via agency or adoption by a member of your extended family. You will need current information that we can provide to explore your options before you make your decision. It is your decision to make. We have adoption education and a referral list of adoption resources for you to choose from if or when you wish to explore that further. 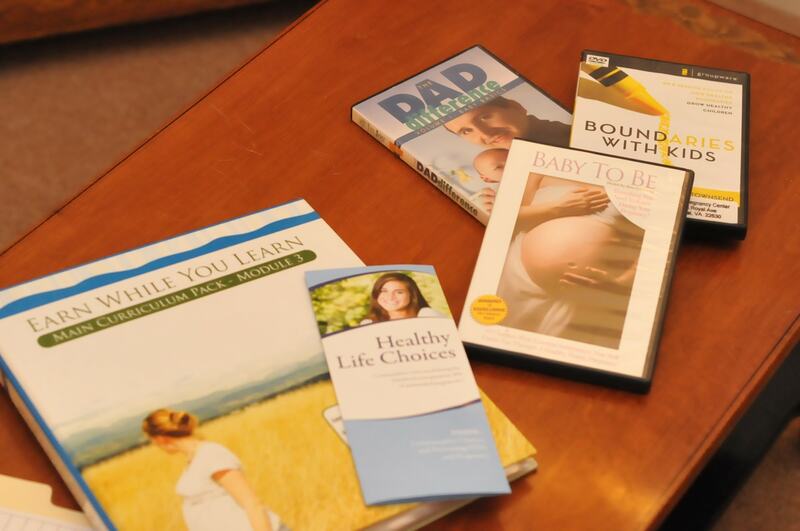 While you consider your parenting options, you can also prepare for a healthy pregnancy. With our Earn While You Learn program, whether you are considering parenting or adoption, you can earn a new crib, pack n’ play, stroller, etc. for your child. Learn more about this program and other material assistance opportunities here. Young women and couples flourish when they establish financial goals and learn to provide for their family. To provide financial education we are partnering with The Virginia Cooperative Extension Northern Shenandoah Valley Family and Consumer Science to provide an on-site series on Financial Education that includes: developing a spending and savings plan, cash management, credit and debt management, risk management, predatory lending, what steps to take if you cannot pay your bills and more. Trained volunteers will provide a series of classroom lessons and some clients may choose to add several mentoring sessions. Clients will be more able to achieve their financial goals and avoid common pitfalls once they have attended this series of classes.